The Littmann Cardiology 3 is known to be the somewhat holy-grail of stethoscopes currently. Although the Cardiology 4 is out already this stethoscope is high regarded in the medical field. The tunable diaphragm that 3M has patented is ideal for listening to low and high frequency sounds. More so the diaphragm has been designed to easily switch from adult to pediatric diaphragms. You might be put off by the price, but trust us, this stethoscope is worth your investment. Just make sure you maintain it properly throughout its lifetime and your set for life! Because let’s be honest, what is $200+ USD divided over a lifetime? It has a solid stainless steel chest-piece, non-chill rims, adjustable double-lead binaural spring and patented soft sealing ear tips. If you are a medical professional, specialized in Cardiology, you require this stethoscope. However if you are just starting out, I would rather go with a Classic model. Very rarely it is necessary to have this level of acoustics when you are just starting out. However for cardiologists this stethoscope’s acoustics are out of this world. Combined with the tunable diaphragm make sure you provide excellent care! Some Neurologists state that they use the pediatric diaphragm to listen for carotid and femoral bruits on adult patients. Some will remove the pediatric diaphragm side and use it as a bell while other say it works fine with the diaphragm. The tube length for this model Littmann cardiology 3 stethoscope is 27 inches. It’s not too long that it’ll snag everywhere you go. It’s not too short either, saving your back as you do auscultations. Some users have reported the tubing cracking after 7+ years of use, however if you read this article you should be fine! Plus also 3M has an excellent service and repair program. If necessary you can get your stethoscope refurbished for $60 or less. It’s definitely not th e lightest stethoscope out there. At 13.6 ounces you will feel it hanging around your neck as you wear it. However if you need to use it, you just have to grin and bear it. There are heavier ones on the market that perform just as well, so in that respect the Littmann cardiology 3 is not a bad choice. At the same time if you easily get a stiff neck or suffer from shoulder problems, there are lightweight stethoscopes out there that perform a little worse than this one. However if that means not needing a neck massage every time you get off work then maybe it’s worth it! 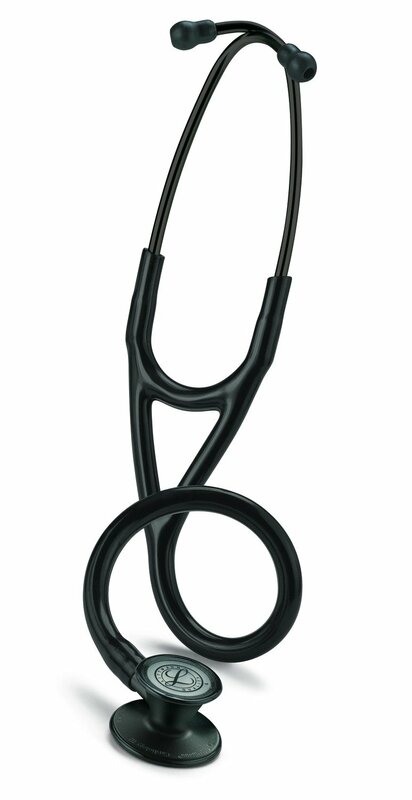 The Littmann Cardiology iii stethoscope has a 5 year warranty. If you are outside of the United States, you may want to check with the Littmann Technical Assistance for your country. Most owners do not need to activate the warranty. Simple maintenance, prevention, and cleaning is all that is needed to make your stethoscope last. This stethoscope comes with 3 sets of ear tips. Most reviews talk of using the gel-like soft bud tips as they provide a snug fit. As a result they help drown out some white noise and help with auscultations. Especially EMT’s using a Littmann cardiology 3 report using the gel-buds as they often have to check patients in loud environments (think blazing sirens). But as always 3M offers the luxury of choice. With 3 styles to choose from I’m sure you’ll find the tips that fit your ears perfectly! If you need a cardiology grade stethoscope, by all means go out and buy a Littmann cardiology 3 or even 4! However if you do not need one or if you are just starting med school, go for a simpler one. Your rich friends might show off theirs around campus, but chances are they’ll never need to use the specific features that make this stethoscope so great. They’d basically be driving a Ferrari in a residential area. It has the potential, but rarely sees it used. That analogy holds through all the way. The Littmann Cardiology truly is a fantastic piece of kit and I’m sure if you do decide to get one you won’t regret it!